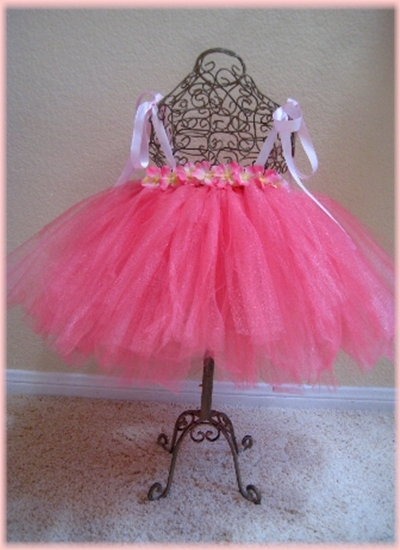 If you are looking for a fancier look than the traditional tutu, we offer tutu dresses. 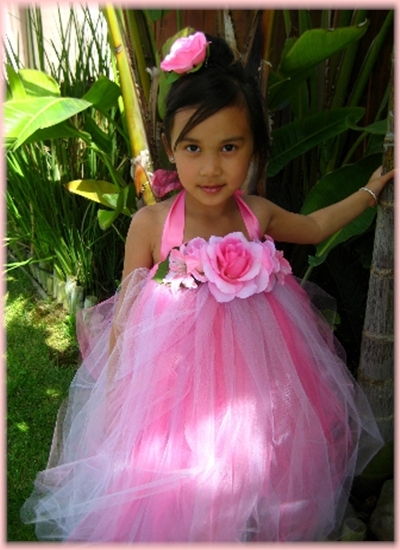 All of our dresses are custom made to the measurements you provide. 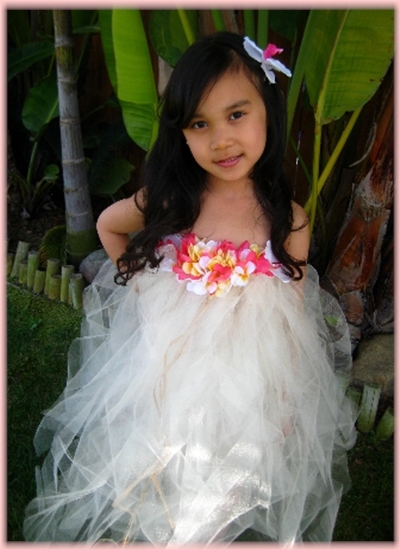 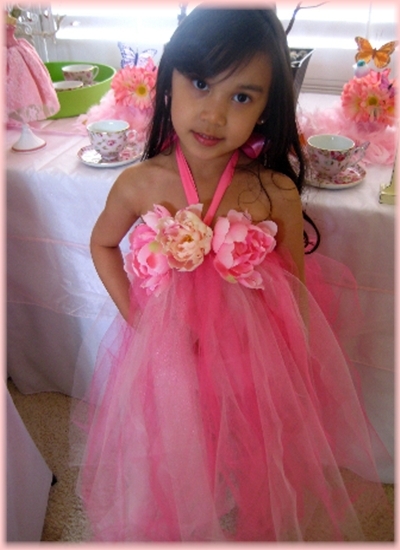 With 150-250 yards of tulle, the dresses are perfect for girls of all ages and are great for little flower girls. 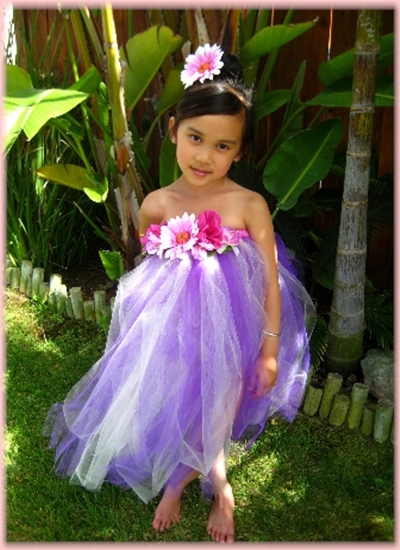 Our dresses come with the choice of one single large flower or a bunching of flowers, the flowers used on your dress may vary from what is shown in the picture due to changing stock, but the colors and look will be matched as close as possible. 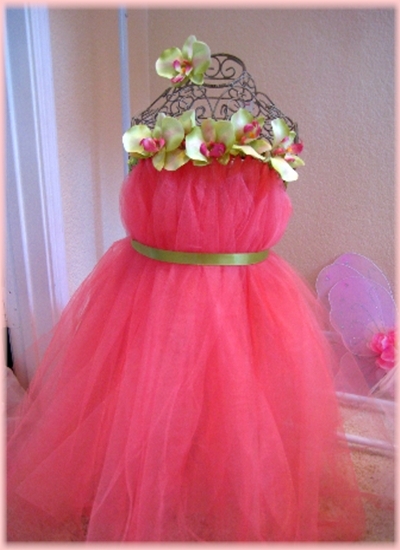 Dress straps can be customized according to your request in a halter, spaghetti strap or strapless style. 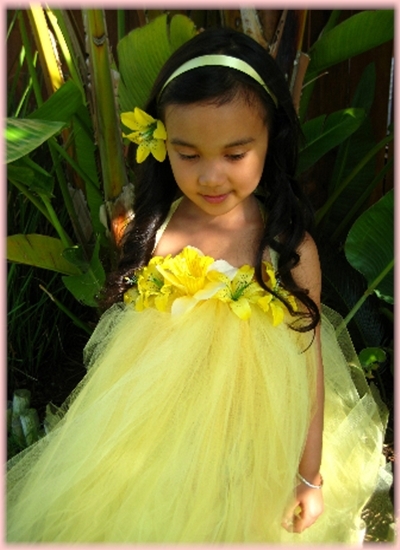 Please refer to our Sizing Info Page for instructions on measuring your little girl.